CRSC is committed to fostering a new generation of scholars who address problems of social change in innovative and interdisciplinary ways. Graduate and undergraduate students enjoy access to a rich array of programs and activities that promote mentoring relations with faculty, collaboration with peers, and the exchange of ideas with a broad audience of academic and community leaders. Founded in 1976, the Graduate Fellows Program (GFP) provides Berkeley doctoral students with an interdisciplinary, intergenerational, and inclusive environment for research and training. The Program plays an integral part in training scholars to address the pressing challenges that face California, the nation, and the world. The GFP has enabled more than 150 students to complete their doctorates and carve out distinguished academic careers. Berkeley’s graduate programs attract the best and the brightest faculty and students, and the campus is home to an astonishing number of top-ranked departments. As a result, the Graduate Fellows Program can bring together students of the highest caliber across a range of disciplines and link them to faculty who are doing groundbreaking research. A number of these students come from diverse backgrounds, and the problems that they study are not simply abstractions but are grounded in their own experience. The GFP is a program of the Institute for the Study of Societal Issues. 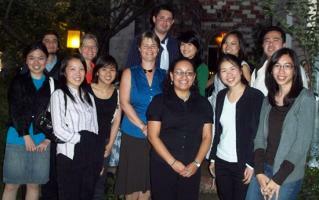 Because ISSI places questions of race, ethnicity, gender, and class at the center of its research agenda, the GFP has been especially effective in enabling students from underrepresented groups to complete their doctoral studies and obtain faculty positions at top academic institutions around the United States. Complete details on the program and the application process may be found here. Undergraduates participate in select research projects on pressing social concerns through the Undergraduate Research Apprentice Program (URAP). Students work collaboratively with faculty and staff on center-based research projects, becoming part of CRSC's larger research and learning community.